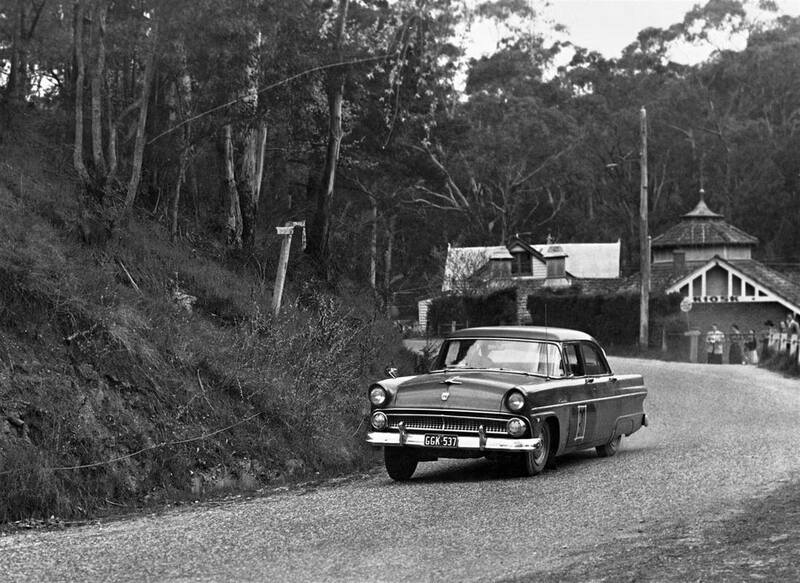 The Australian Motor Sports Club held Hill Climb event through the 1950's at Hepburn Springs. 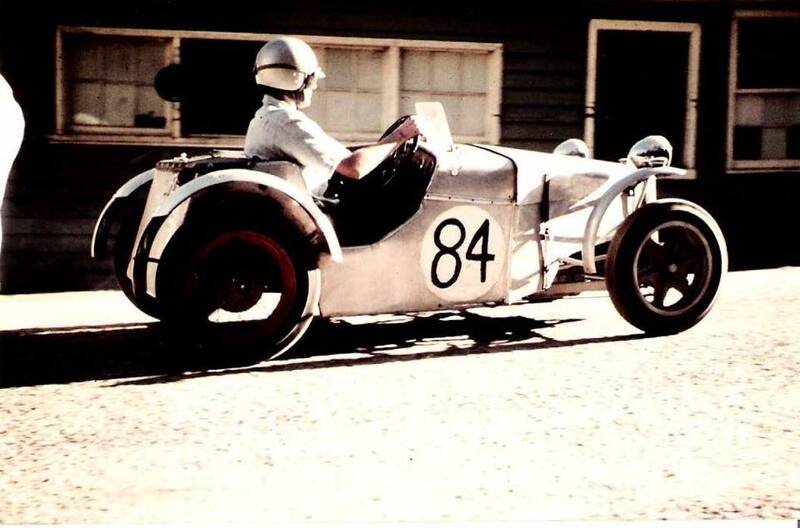 1955 - Norm Beechey before his fame in the Customline heads up the Hepburn hillclimb. Photo: Brian Caldersmith. 1955 - Nigel Tait prepares to start in the Hepburn Springs Hill Climb event. Photo: Gordon Dobie. The Australian Motor Sports Club will hold a Hill Climb at Hepburn Springs on February 25, with classes for racing, sports and saloon cars, entries close on February 17 with Jack Maurie 81 Thackeray Rd Reservoir. The course is 800 yards, over a bitumen surface. Gordon Dobie recalls: You will see from the photo's the cars started at the kiosk and headed towards the town centre, but instead of turning left they went straight ahead through a fast esse bend leading up a hill at the crest of which is a sharpe right hand turn, up a street which took them to the finish line.